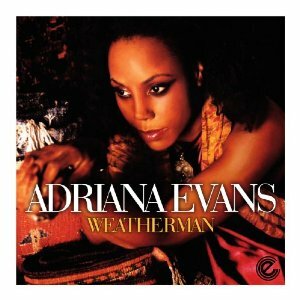 A very catchy 12” from neo-soul artist, Adriana Evans, that should be filling up dance floors. The grooves are dug deep to the early 70’s, with a TK/Glades/Alston-type vibe. But unfortunately for Ms. Evans, it is 2010 and it may be a little too retro for the masses. Personally, I like the song. It reeled me in upon the first listen. I liked the Betty Wright “Mr. Big Stuff” guitar licks, the nice punch from the horn section and the tiny rings of the glockenspiel. The production and arrangement are slick as 70s sateen, but maybe a little too slick. The mix could stand a little more bottom because if you’re going to dig that deep back into time, make it deep. The background vocals, which I am assuming are Ms. Evans’ overdubs, are a little high in the mix. Plus, they don’t vary. It’s the same shoo-doo-doo, shu-doo-doo-doo-doo, over and over again. If you’re going to repeat the past, learn from it. The Pips didn’t sing the same nonsense syllables throughout a song. The background vocals on “Weatherman” get to sound like a tape loop. It becomes more present upon repeated listenings. I’m being a bit nitpicky but I hear so much potential in Ms. Evans voice that she and the song deserve better arrangements and production values. I think her voice has the power to bring a good song to greatness so let’s get the whole package. When the full-length LP comes out I’ll be sure to buy it. In the meantime, I’ll get over my tedious comments and enjoy the record. Posted on Sunday, April 4th, 2010 under Record Reviews. You can follow any responses to this entry through the RSS 2.0 feed. You can leave a response, or trackback from your own site.